Opening Day at the Tucker Farmers Market! More than 25 new and returning vendors! Tucker Farmers Market is proud to announce the return of Cicada Rhythm to our market to kick off the 2013 season. 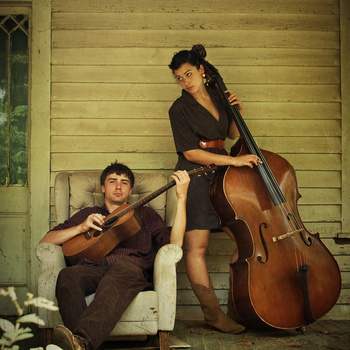 Bring a chair, grab a snack and enjoy the amazing sounds of this original duo. Expect chilling harmonies, unbridled enthusiasm, some wholesome tunes and a sincere performance. From the Atlanta Magazine article: “Tucker Middle School sixth-grader Marley Bridges is such a fan of her local farmers market that she created a social studies fair project about it. 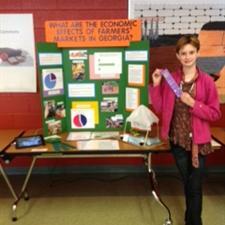 After winning her school fair and advancing through the DeKalb County and East Metro regional fairs, on Saturday [March 23] Marley is taking her project to the Georgia Social Studies Fair at Clayton State University.” This Thursday, find out how Marley did and see her project for yourself! On the first Thursday of every market month, the Tucker Farmers Market is bringing local food trucks to the party. 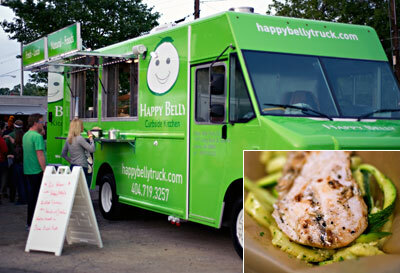 We kick it off this week with Happy Belly, which incorporates local, organic foods whenever possible. They won’t be alone, though! Come to the market to discover other food truck delicacies! Previous Post Announcing Opening Day!